Trees help improve the quality of the air you breathe while enhancing the beauty of your surroundings. If you want to set up a hammock or a tire swing in your yard, you can use the strong and sturdy branches of your trees for support. But when the time comes that cutting down a tree in your property is a necessity, you need to rely on the experts for this critical job. 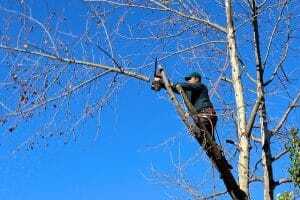 Tree Removal East York is your one-stop-shop for a wide range of tree care services whether it is a tree cutting service, tree removal service, hazardous tree removal, or when you need to obtain an arborist report. We do them all quickly and efficiently! We will make sure to address your needs in the quickest and most efficient way possible. All you need to do is set an appointment with our expert Toronto arborist. This is our special way of showing how much we value your time and your business. As much as possible, we advise against cutting or removing trees on your own. Tree removal can be a dangerous task that requires professional training and skills. You need the expert advice and help of an experienced Toronto arborist to solve your concerns efficiently. When Should You Call a Toronto Arborist for Help? Trees are indeed a wonderful asset to your property. They offer much needed shade and help keep you home cool during the hot summer months. Trees create a beautiful landscape with vibrant spring colors offering a unique character to your property. In fall, the changing colors of the leaves enhance the beauty of your surroundings. Trees offer beauty and warmth, one of the many reasons why it is worth planting trees and caring for them the best way you can. But it is not at all times that your trees are in excellent condition. Due to a harsh weather condition or an infection caused by insects, trees may become prone to damages and sickness. Sometimes, a mild case of infection can still be treatable and may salvage the tree from imminent danger. 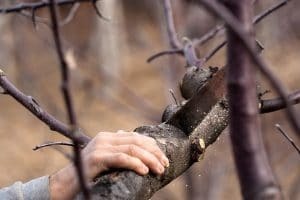 However, if is no longer possible to prevent serious damages from occurring, there is nothing left to do but to cut a tree. Keeping a damaged, sick, dying, or dead tree may cause more harm than good for you. There are safety risks involved that may even wreak havoc to your surroundings and neighbors. Some trees have branches entangled in electric cable wires. Others may be leaning too close to a building, which pose a falling risk and may cause the structure to become weaker. In other situations, a tree’s massive roots may lead to plumbing issues that can be very extensive. There are certain situations when it is important to have your tree removed. It could be due to an infection, critical position in an undesirable location, imminent death, or other hazards lurking behind. Schedule a consultation with Tree Removal East York experts for the necessary course of action to solve your dilemma. We cater to residents and commercial property owners in North York, East York, Markham, Scarborough, and Vaughan. When storms and winds affect a tree, serious damages may occur including splitting, uprooting, and snapping of the tree and its parts. These conditions can result to safety risks of your home, household members, vehicles, and your other properties. Our hazardous tree removal experts are just a call away so schedule a consultation with us today. A tree removal service involving great safety hazards cannot and should not wait! Leaving a stump behind after cutting a tree down is the common practice but not pleasing to the eyes at all. But more than the aesthetic elements, an existing stump can only cause decay, diseases, and a breeding ground for pests. 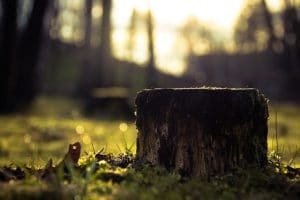 Call the Tree Removal East York for stump removal solutions to clear your property and enhance it with your landscape. Are your trees starting to look poorly-maintained with growths in different directions and almost getting in your way? It is important to maintain your tree regularly, which can spare it from premature decline and diseases. Regular pruning promotes a healthy growth and helps maintain the shape of your trees and bushes. 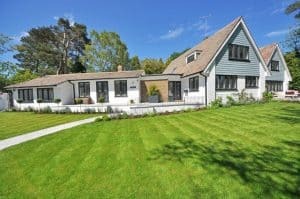 To top it off, well-trimmed trees and hedges add value to your curb appeal. Contact our experts at the Tree Removal East York when you need a detailed assessment of your tree conducted by a professional. With a well-done report, you can make a better decision whether to have the tree cut down, removed, or to keep it as it is. 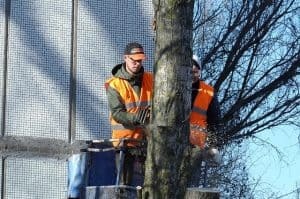 When a tree care service is very much needed in your home or commercial property, be sure to contact the best experts for the job who can give you superior results. Tree Removal East York has been in the business for 20 years - that’s two long decades of continued dedication to providing only the highest quality of service our clients need. We serve Toronto including surrounding areas such as Markham, Thornhill, North York, East York, Richmond Hill, Aurora, Mississauga, and Scarborough. Our promise to deliver superior customer satisfaction has been our pledge since day one. Our certified, fully-insured, and well-equipped team of tree care experts provides nothing but top-notch service every time. From the moment you call us for an estimate up to the completion of each project, we make it a point to ensure a safe, clean, and stress-free experience for you. Safety and customer satisfaction are our highest priorities, so you can expect us to do the job right ALL THE TIME. 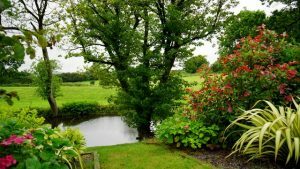 We begin by conducting a thorough and complete inspection of the trees in your property, as well as the surrounding area. Then, we will determine if the tree needs to be cut down or if it can still be saved. Our professional recommendations are the products of our intensive observation, analysis, and evaluation of the tree and affected areas.